ARLINGTON, VA (Oct. 22, 2015) — The National Association for College Admission Counseling (NACAC) and ed tech leader Hobsons today released a new report highlighting promising state-and school-level practices using individual learning plans (ILPs) to prepare students for success beyond high school. According to the report, 62 percent of school counselors and administrators reported that ILPs somewhat or greatly contributed to positive student outcomes. Today, most states have established policies that set college and career readiness expectations for all students. States and districts use ILPs to support efforts to expand college access for low-income and first-generation students. Many are leveraging technology to enable collaboration between students, teachers and counselors to ensure that all students develop academic plans that put them on the path toward college or meaningful employment. Individual Learning Plans for College and Career Readiness: State Policies and School-Based Practices builds on previous research conducted by Hobsons with a national survey of high school counseling offices to better understand how schools are currently implementing ILPs. The study also explores whether schools, districts, or states have invested in a process of evaluating the effect of ILPs on students’ postsecondary plans and post-high school outcomes. 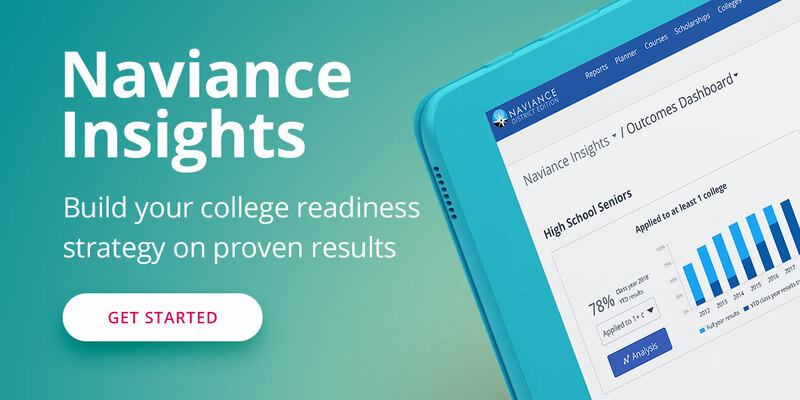 All states have college and career readiness initiatives, and the majority of states mandate ILPs: Thirty states, including the District of Columbia, mandate the use of ILPs. Forty-four percent of surveyed schools in the “non-mandate” states are using ILPs. State and district-level stakeholders could do more to maximize potential of ILPs: Survey respondents indicated a relative lack of involvement in ILP development, implementation, and evaluation among state- and district-level stakeholders, as well as among school administrators and personnel other than counselors. Most counselors think that ILPs make important contributions to student success: Sixty-two percent of survey respondents felt that ILPs somewhat or greatly contributed to positive student outcomes. Training on ILP use for school personnel is limited: Nearly half of survey respondents (44 percent) had not received any training. About one-third had received training for ILP implementation, 24 percent for ILP design or development, and only 7 percent for evaluation of ILPs. To improve ILP implementation, counselors cited a need for early administration of ILPs, whole-school buy-in, improved access to technology, and smaller caseloads. Surveyed schools pointed to the need for more one-on-one time between counselors, students, and their families. Additional research is needed to evaluate the effectiveness of ILPs on postsecondary student outcomes. Nearly three-quarters (74 percent) of survey respondents only tracked student outcomes through high school graduation. The state policy scan also revealed that only nine states had conducted formal evaluations of ILP effectiveness. Read the full report, including recommendations for policy and practice.